Adopting new eating habits can be difficult. The Eating Habit Trainer will help persons who are learning to eat differently due to bariatric surgery or other metabolic conditions that require a regimented pace of eating and drinking. 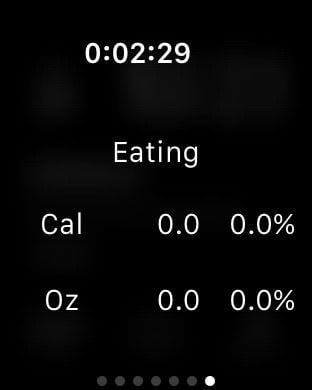 Eating Habit Trainer will help you retrain yourself by supplying gentle reminders about when to eat and drink based on parameters that you set in the app. It's really simple to use; You set your eating and drinking goals on the Goals Settings page and you set the frequency of bites, sips and rest periods on the Timing page. That's it! 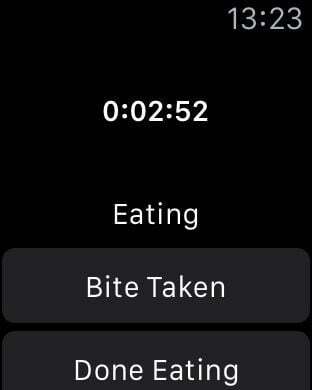 The Eating Habit Trainer will remind you to 'Take a bite' or 'Take a sip' using your own individual settings. You can control everything down to how long to wait before each bite of food or sip of drink and how long to wait before eating and drinking again. Reminders will repeat up to 10 times, even you even if you accidentally kill the app. It even works with your Apple Watch !!! Eating Habit Trainer is designed to be as hassle free as possible. When a reminder appears, you can directly reply to the reminder to record your action. You don't have to go to the app to respond unless you want to. Not only does it remind you when to take an action, it keeps track of how much you have eaten and drank each day. The progress page gives you a single page summary of how well you've done. You can know at a glance if you are on track !! No more wondering if you got enough protein, or are sufficiently hydrated. The Eating Habit Trainer will gently help you to achieve you new eating goals quickly and efficiently !! Please give it a try and share your feedback so we can keep making EHT better and better !! !